To try to list all the Easter eggs and references in Steven Spielberg’s latest classic Ready Player One is an impossible task. No matter what other websites and videos claim no one has discovered all the minute and obscure references in Ready Player One. Until the film comes out on Blu-ray and digital streaming/download we’re going to settle for the top 10 Ready Player One Easter eggs and references. Oh yeah, spoilers down below! 10. Superhero Cameos: Being this is a Warner Bros. film, it was a given that the noticeable superheros and villains that are seen are from DC. 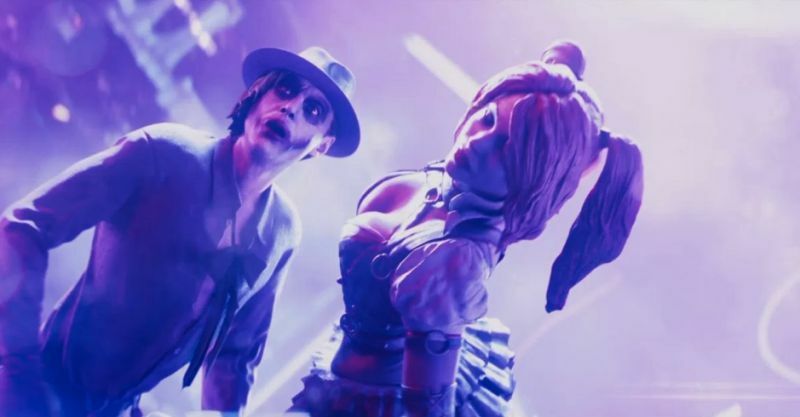 These include several versions of Batman, the Joker, Harley Quinn, and Deathstroke. Others such as Spawn and Marvel superheroes are mentioned, though some have pointed out that Marvel heroes make blink-and-you-miss-it appearances. 9. Video Game Cameos: Nearly every shot in the film was stuffed to the brim with video game characters, whether they’re famous or obscure. 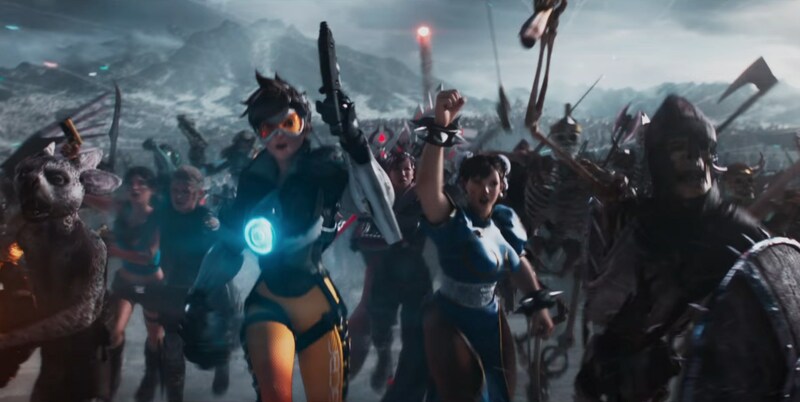 Most were just quick cameo appearances and the standouts includes Tracer from Overwatch, Lara Croft, Blanka, Sonic the Hedgehog, Chun-Li, Ryu, Goro, the Spartans from Halo, Goro and we’ll be here all day trying to go on! 8. Classic Spaceships: Ready Player One has many brief appearances from iconic spaceships from film and cinema. 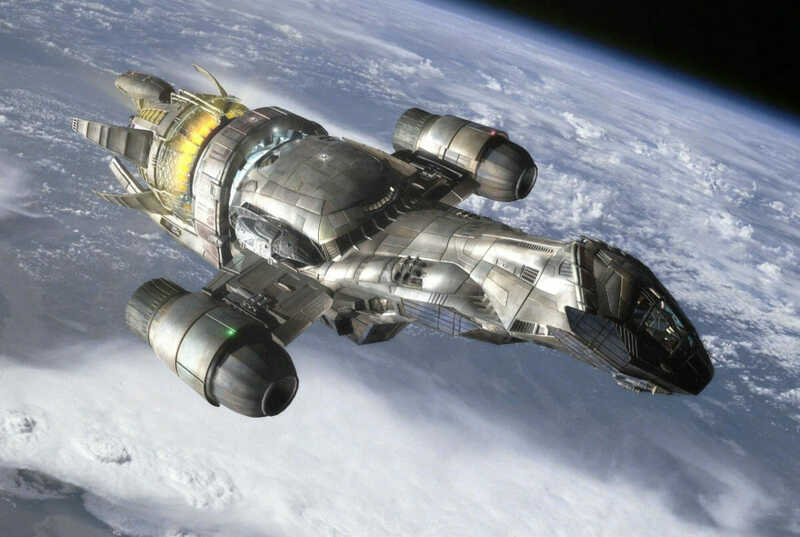 The standout was the Serenity from Firefly, others include rad ships from Battlestar Galactica, the Enterprise, the Valley Forge from Silent Running, and somewhere in the film there is allegedly an X-Wing fighter. The greatest film spaceship the Millennium Falcon is mentioned and the roar of a TIE fighter can be heard in one scene. Anyone else who spotted anything else please drop a comment. 7. 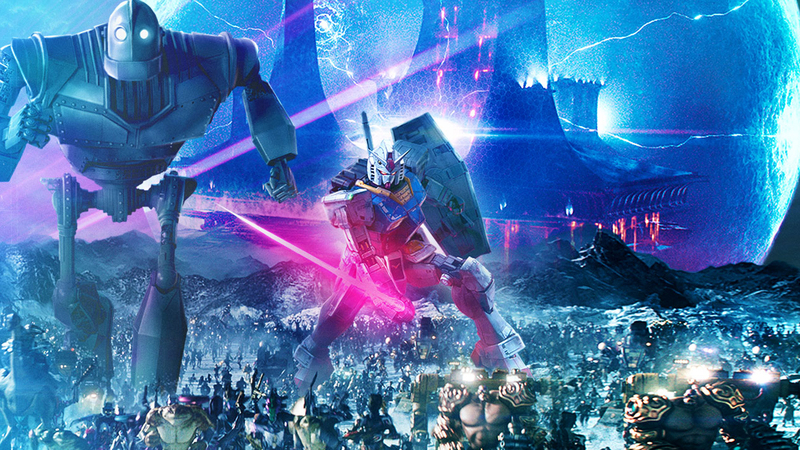 Gundam vs MechaGodzilla: A big highlight in Ready Player One’s epic final battle was the throwdown between the bad guy MechaGodzilla avatar and good guy Gundam from Mobile Suit Gundam. MechaGodzilla tore the scene up as he should have, while Gundam was the robotic cavalry that helped save the day. Seeing the behemoths tearing into each other was a terrific tip of the hat to the great kaiju and giant robot battles in Japanese kaiju films that we geeks love! 6. Rexie and King Kong As Racing Obstacles: Director Steven Spielberg went out of his way not to include references to his own great works. However, his film works are so vast and influential that it would have been a crime if there wasn’t any kind of shoutout. The choice of including Rexie, the Tyrannosaurus Rex from the Jurassic Park films was inspired as the dinosaur ripped apart the racing cars. 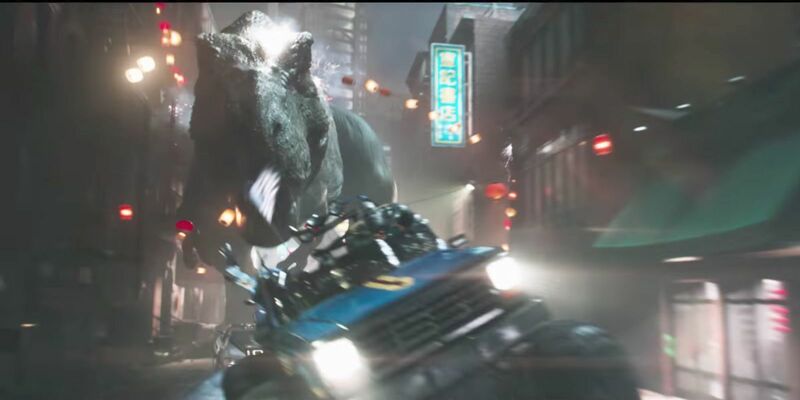 The now-famous opening car race in Ready Player One featured unique racing obstacles like Rexie and one of the greatest movie monsters of all time: the mighty King Kong. 5. The Zemeckis Cube: There are so many droolworthy gadgets and weapons scattered and used in Ready Player One. Some of them were critical and saved the hides of Parzival and friends like the Madball. 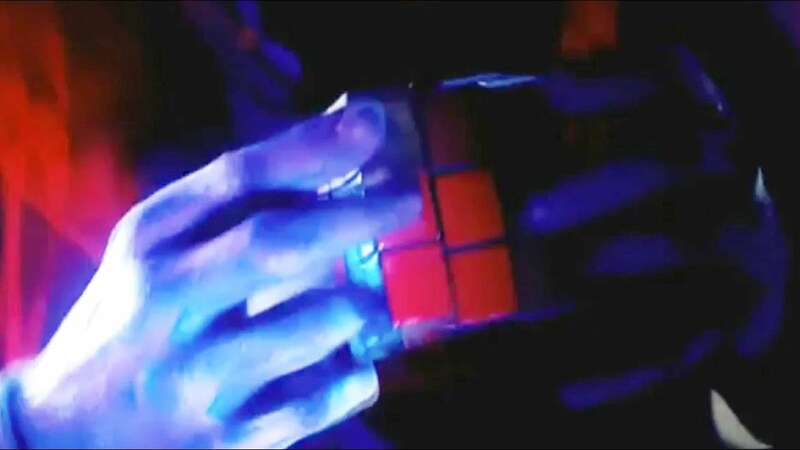 The best one of these gadgets, however, was the Zemeckis Cube, which was clearly inspired by director Bob Zemeckis and his masterpiece Back to the Future and the real-life Rubik’s Cube. The gadget certainly came in handy as it allowed the film’s heroes to turn back time by sixty seconds and escape the IOI evil thugs. Are there any other gadgets or weapons that you think are worth mentioning? Leave a comment! 4. Chucky: The killer doll from the Child’s Play films could be considered a gadget or a weapon with the way he is used. He is used by Parzival and Art3mis as a deadly distraction for the IOI soldiers trying to prevent them from reaching the final challenge. The way the doll just cuts through the soldiers like a mad cartoon character is hysterical! 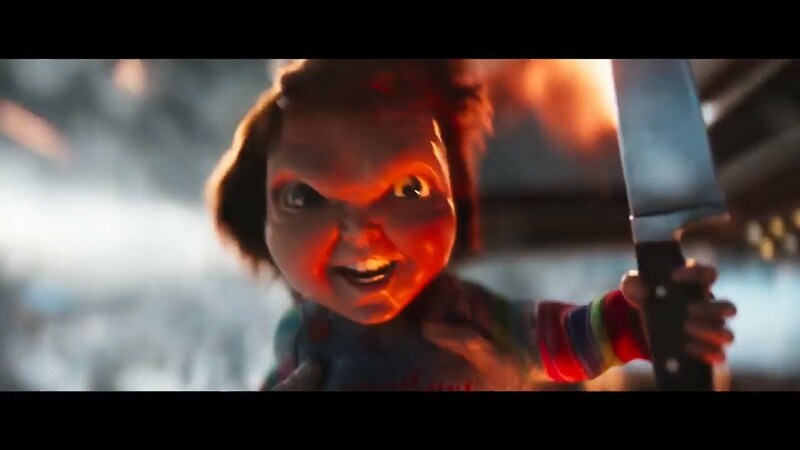 “It’s f#@**ing Chucky!” is one of the immortal lines from this film and quite funny, too. 3. 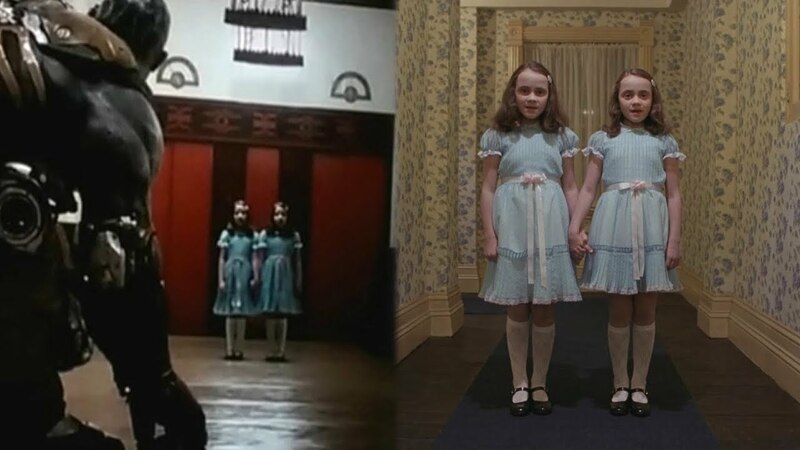 Revisiting The Shining: The second challenge in the virtual quest in Ready Player One was a visit to the terrifying Overlook Hotel as seen in Stanley Kubrick’s adaptation of The Shining. Sure, novelist Stephen King hates this film adaptation but The Shining is one of the greatest horror films and it is well used in Ready Player One. It is amazing how Steven Spielberg was able to recreate the look and feel of The Shining and integrate it with his own film as Parzival and his allies confront the ghostly horrors in the hotel. 2. The DeLorean: The film was bumper-to-bumper with iconic movie cars like the Batmobile, the Mach V from Speed Racer, the Bigfoot muscle car, the Akira motorcycle, and so on. The one car that blows the rest of them away is the DeLorean as seen from Back to the Future. It was pure joy seeing that famous car racing across the silver screen again and brought back many fond memories from Back to the Future. The only drawback is that it did not fly. Oh, well. Maybe next time. 1. 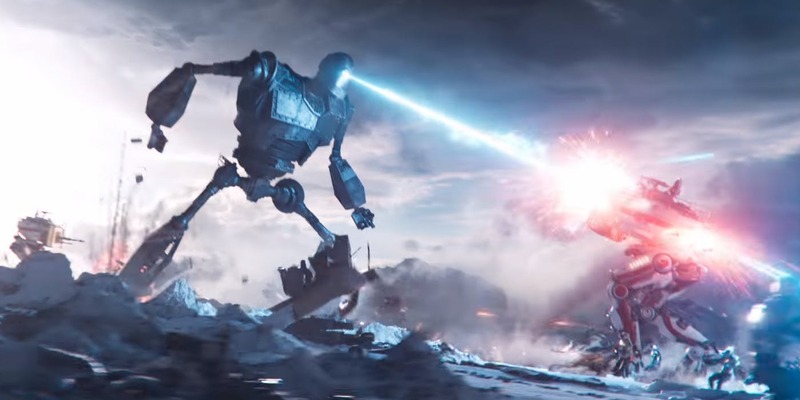 The Iron Giant: Of all the many Easter eggs and references featured in Ready Player One, the one that literally stands above them all is the Iron Giant. After The Iron Giant flopped in theaters back in ’99, it seemed as if the gentle metal Goliath would never be seen again. Thankfully, the animated film has become a cult classic and it was only a matter of time before the Iron Giant returned to film. Thankfully it was in Ready Player One that he made his triumphant return. Hopefully his prominence in Ready Player One will draw more attention to The Iron Giant and will lead to more appearances somewhere. Any of you have your own top 10 Easter eggs and references from Ready Player One? Jot them down below!